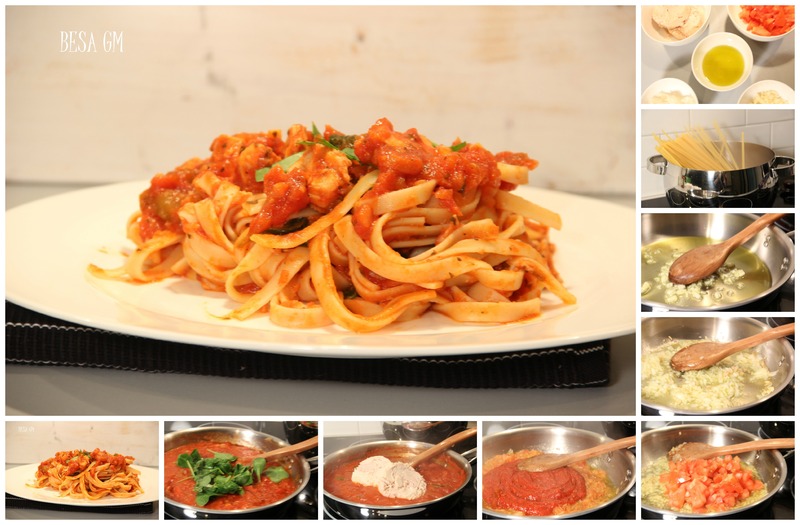 Aren’t pastas everyone’s favorites? They are mine, for sure. I make them using various sauce recipes, but mostly I just create my own sauces using whatever I have at hand. 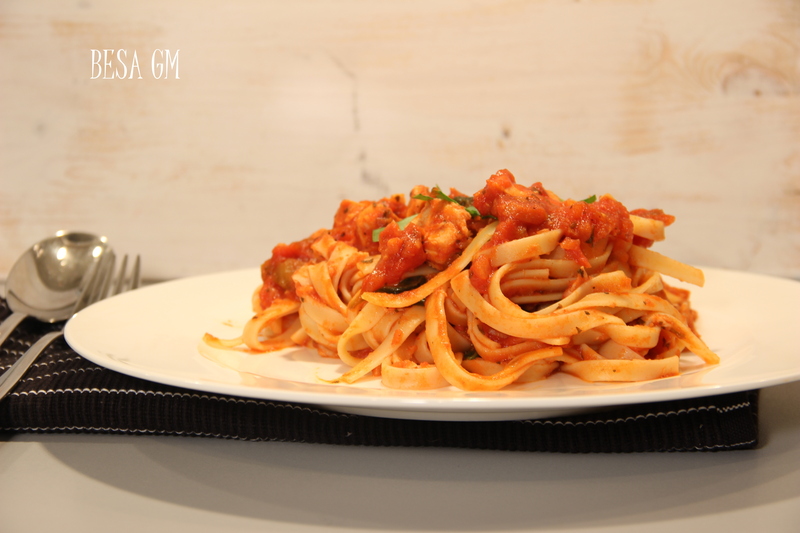 Last evening I made these delicious fettuccine with tuna sauce. 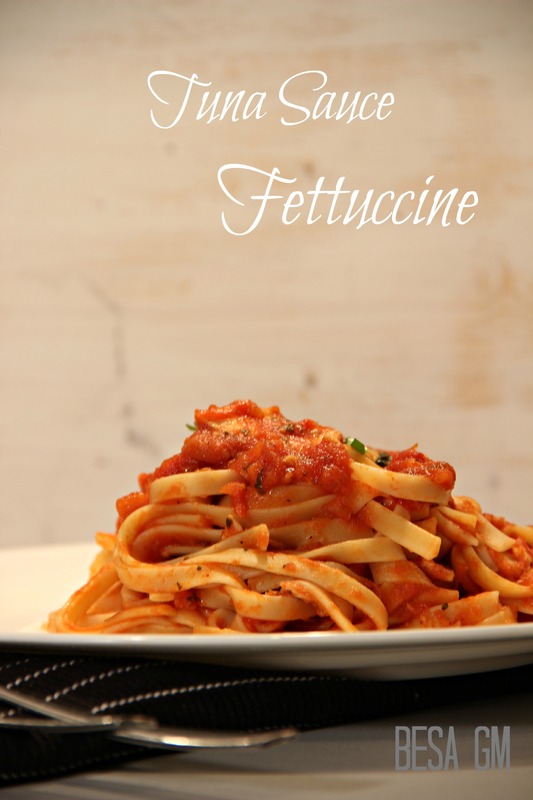 This sauce recipe is one of those which I created playing with ingredients that I had at hand. Mostly, I use fresh tomatoes for making pasta sauces, but not always I have plenty of tomatoes to make the sauce, and that is when the jar store bought sauces come into play. Even though I sometimes use jar sauces, I always start making the sauce with at least one chopped tomato, and a few cloves of garlic and then I add other ingredients of choice. Using at least one fresh tomato and fresh garlic cloves makes the sauce taste like homemade from scratch. So here is the sauce recipe. In a large pan heat the oil over a medium heat and add garlic. Cook garlic until golden brown and add onion. Cook for about 5 minutes and add diced tomato. Cook tomato, garlic and onion for 2-3 more minutes; add jar pasta sauce and tomato paste and cook until bubbles start to appear. Add salt, sugar and pepper followed by tuna. Cook five more minutes, add spinach and continue cooking for about 1-2 minutes. 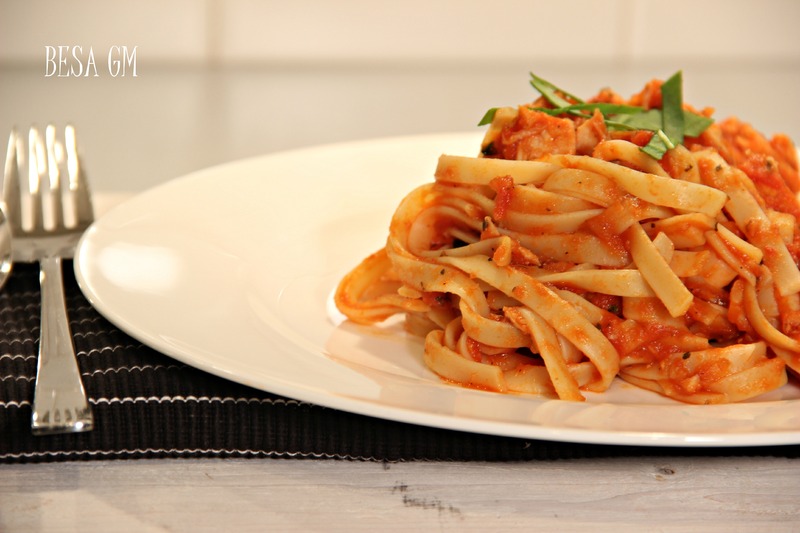 Cook pasta according to the package instructions, and serve the prepared sauce over cooked pasta. Thanks so much for stopping by. I look forward to visit your blog. You should definitely try it. Thanks for stopping by and for pinning. It really is delicious. Thanks for stopping by. This looks and sounds so good! I love tuna and haven’t used it in a pasta dish. Great idea. I do like homemade sauces but do use jar and “freshen” it up a bit. Thanks so much for sharing at Sunday’s Best, your creative inspiration is so inspiring! I’ve also pinned the recipe! 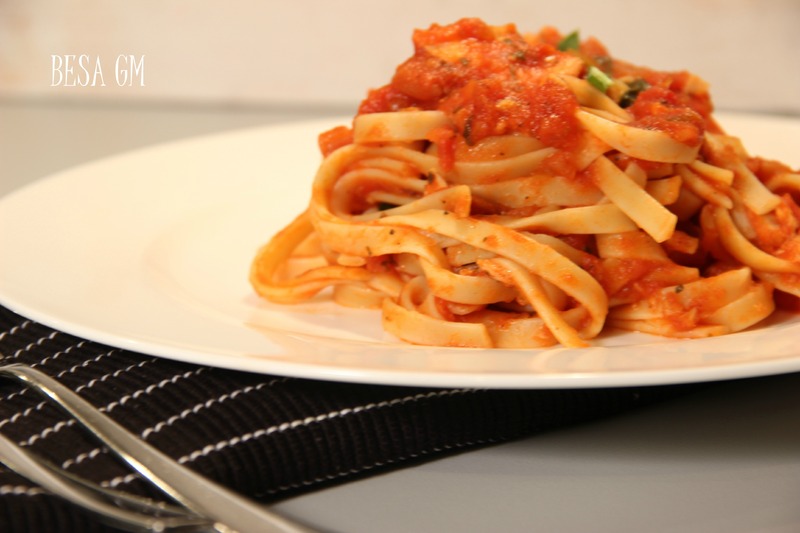 It is a simple and easy sauce recipe which I make very often. Thanks for stopping by and for taking time to leave a comment.